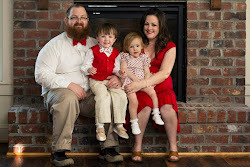 Wee Lil' Blog: Fuzzibunz OS Winner and Fuzzibunz Giveaway #2! Fuzzibunz OS Winner and Fuzzibunz Giveaway #2! Last week was the start of our month-long birthday celebration featuring FuzziBunz as our manufacturer of the month. Because of that, we’ll be giving away a new item every Friday! Last Friday, it was the FuzziBunz one-size diaper. And you all really showed up for that giveaway with nearly 600 entries in just a week! Wow! Congratulations! Please contact April at april@weelittlechanges.com to claim your prize in the next 48 hours. If we don’t hear from our winner within 48 hours, a new winner will be chosen and the original winner will forfeit the prize. Now, if you didn’t win our last giveaway, cheer up! We have another one starting right now! One lucky blog reader will win a 10-pack of FuzziBunz Organic Wipes! That’s a $21 value! Do you use cloth or disposable wipes right now? 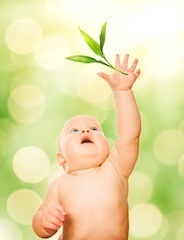 The FuzziBunz organic wipes contest will run from September 10, 2010 through Thursday, September 16, 2010 at 9pm EST. One winner will be announced on the morning of September 17, 2010. That winner will have 48 hours to contact us and claim his or her prize. After 48 hours with no claim on the prize, a new winner will be chosen. Please include your email address in your entries so that a new winner can be contacted should we need to choose one. This contest is subject to change at the discretion of Wee Little Changes. I'm still waiting for my baby but I plan to use cloth wipes. I follow your blog 2. I follow your blog 3. I follow your blog 4. I folLow your blog 5. Right now I use neither since my twins aren't due till Nov. I'm a little bit intimidated about using cloth wipes though. 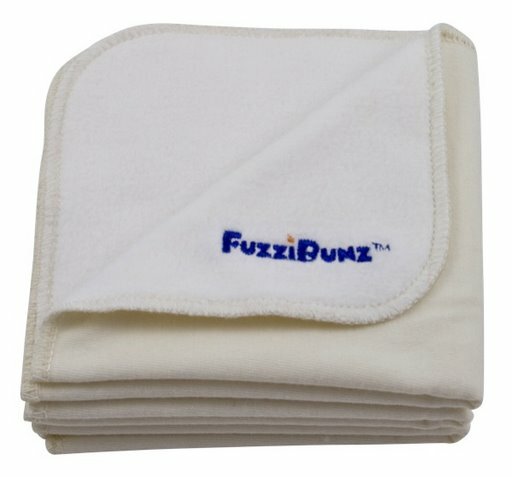 I do use cloth wipes for my daughter, and the Fuzzibunz wipes are FABULOUS! I would love to win some more to add to my cloth wipes stash! Already like Fuzzibunz on FB! Right now my son hasn't been born yet. I want to use cloth wipes but am not all stocked up! This could be the changing point! He is due in 2.5 weeks! We tried using disposable wipes when we first started cloth diapering...but the inconvenience of having a diaper pail AND a garbage can was just too much. So we went with flannel cloth wipes and LOVE them! It is so much easier to not have to worry about throwing away the wipes. Plus, my little man gets a rash when we use disposable wipes. He prefers just warm water wipes with NO chemicals! Right now I use disposable wipes. I don't have any cloth wipes. I'm pretty new to cloth diapers and haven't made the switch with wipes yet. So, I'd love to win these! Thanks for the giveaway! No baby yet=no wipes yet. I plan to use cloth wipes. ATM I use disposable when I change my niece because thats what their family chooses. I plan to use cloth wipes and dipes for our first, coming in February! I don't currently use cloth wipes but recently realized what a pain disposable wipes with cloth diapers are so I am planning to start using them. This could really help make that possible. We just started to use cloth wipes. Why didn't anybody tell me about them earlier?! They clean so much better! Blog follower via GFC #4. Blog follower via GFC #5. Facebook fan of WLC #2. 1. I'm a blog follower. 2. I'm a blog follower. 3. I'm a blog follower. 4. I'm a blog follower. 5. I'm a blog follower. 1. I like WLC on facebook. 2. I like WLC on facebook. I like FuzziBunz Cloth Diapers on facebook. We use cloth wipes - mostly Thirsties Fab Wipes. I use cloth diapers but disposable wipes. I hope to change that soon! I plan on using cloth wipes - I have a couple dozen sewn up ready to be used! My baby is due at the end of the month. So far we only have some cloth wipes, so I guess we use cloth! I also like Seventh Gen and the Walgreens biodegradable wipes for when we use disposables in our bathrooms (for makeup or general freshness) but for frequent use I am definitely planning to do mainly reusable cloth. I currently use disposable wipes, but I would love to try cloth ones. I use neither of type right now but I plan to use cloth ones and I am building my stash! We use Cloth wipes unless it is a very messy poo, then we use 1-2 disposables before finishing up with a cloth one. We always have disposables on hand for traveling.